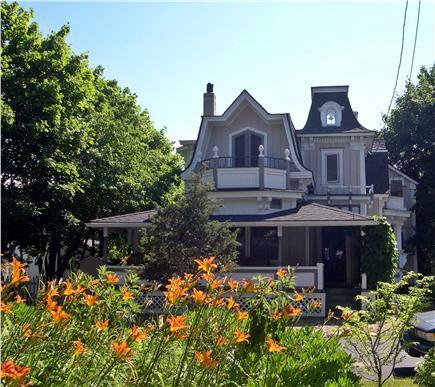 A beautiful, clean 2-story Victorian in the heart of the historic Copeland District of downtown Oak Bluffs. This 3-4 bedroom renovated home is located on a quiet street overlooking Hartford Park. Our house is only two blocks to the center of town, Ocean Park, and the beach; across Ocean park is the ferry -- no car necessary! Town tennis courts and playground are only a short walk away. Breathe fresh sea air and reconnect with nature in this distinctive home which combines the elegance of the Victorian era with the simplicity of a cottage. The first floor has hardwood floors; the bright, airy second floor has painted wood floors and cathedral ceilings. In the front is a comfortable covered porch, in the back is a deck with a private backyard canopied with trumpet vine and wisteria. 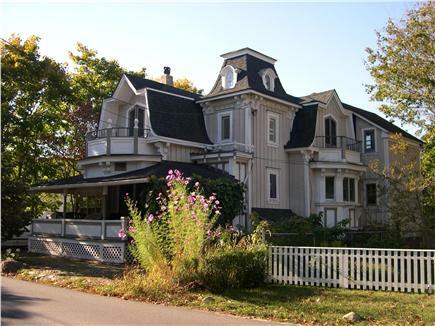 The upstairs has 3 bedrooms, 2 full baths, a charming common room and 2 balconies.Walk 2 blocks to Circuit Avenue (the center of Oak Bluffs) and you will find shopping, restaurants, the Flying Horses carousel, galleries, nightlife, movie theaters, public transportation, bike and moped rentals. Go listen to a concert off Circuit Avenue in the Campground at the historic Tabernacle. Walk 2 more blocks to the harbor where you can arrange fishing and boating excursions. Just around the corner (2 blocks south) is Niantic Park with public tennis courts, children’s playground and a basketball court. Walk two blocks to magnificent Ocean Park and listen to the town band concert on Sunday night or simply admire the beautiful historic houses. Walk or ride a bike on the bike path to State Beach, a pristine three mile barrier beach on Nantucket Sound. For the golfer there is the Farm Neck golf course just down the road (1.5 miles). 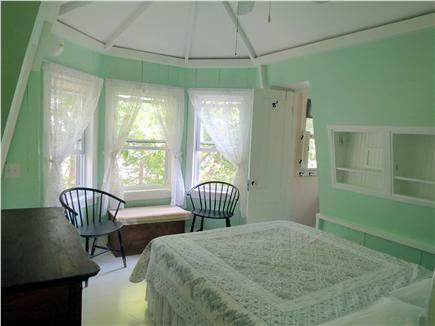 And of course there is all of Martha's Vineyard to enjoy! Okay, so I am one of those people that when I come across something in life that is truly exceptional, I try my best to keep my cards close to my chest. The BLT House is the perfect example of something truly exceptional, due to many contributing factors, but mainly the combination of the owners loving maintenance, care thoughtfulness (they thought of everything, more on that in a bit) and the things that are more circumstantial, like the awesome proximity to the shops and restaurants, a walk to the steamship ferry, to some of the beaches, a walk to the bowling alley (for rainy days), etc. The two story house is bright, cheerful and charming. The living room, family room, kitchen and all bedrooms equipped with ceiling fans to keep you cool in the warm summer nights. They offer a parking space if you bring a car, how convenient is that? While the location is so close to everything (including beaches—5 min walk) it is so peaceful and serene. Another major bonus, there is enough room for everyone! It was only two adults renting the house, but we had guests down throughout our two week stay—just give the landlord a heads up. We had five adults in the house and it didn’t feel cramped at all. In fact, there were two additional beds. We hosted a fabulous little summer dinner party, using the grill on the back porch. This was my first stay here, and when I say the homeowners thought of everything, I mean everything. There was unopened hand soap in the dishes, plenty of kitchen supplies (plastic bags, tinfoil, dishwasher detergent, etc), there were beach chairs, board games, additional blankets and pillows. An added bonus is that the beds have sheets, apparently this is a thing. There was also a manual that helped us navigate everything, EVERYTHING, how to logon the WiFi, how to deal with trash/recycling/composting, checkin/checkout helpful hints, where restaurants are...it was so intuitive and user friendly that we felt right at home. Oh, did I forget to mention they have an awesome washer and dryer? We had a wonderful stay at the BLT house. The owners, Brian and Lisa, are a delight. 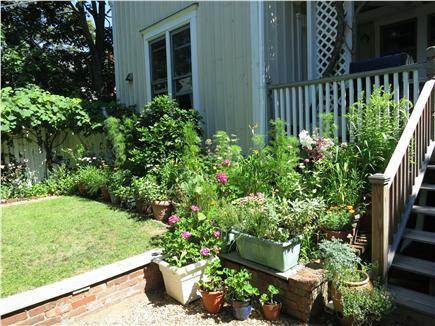 The house is impeccable: well maintained and exceptionally clean (a rarity for these older Oak Bluffs homes)! The kitchen is fully equipped with everything you might need (after all, the owners live there during the off-season). 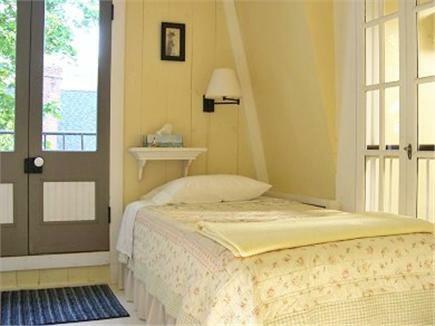 The beds are firm and comfortable and the linens are clean and fresh (and unscented!). It's just a short walk to the shopping and dining on Circuit Ave, or to the gingerbread houses of the Campground Association, or to Inkwell Beach. We have been going to the Vineyard for many years and to Oak Bluffs for the last 7 years. The BLT house did not disappoint! 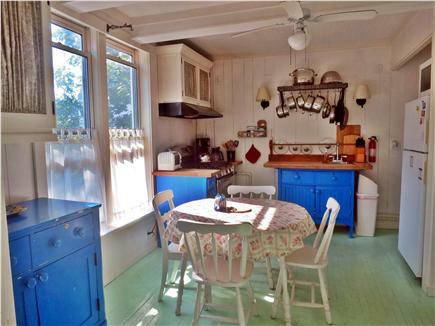 Lots of charm, lots of great kitchen stuff (important to us! ), and a very fun "secret bathroom." This was our first summer renting the BLT House and had a wonderful experience. 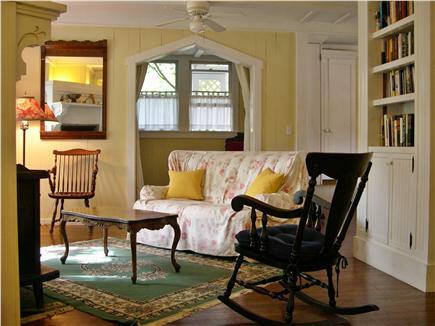 The house was in a great location, walking distance to the Circuit Ave shops as well as the beach. It was very quaint inside and very clean when we arrived. I cannot think of anything that we needed that the house did not provide already, which made our stay much more enjoyable. 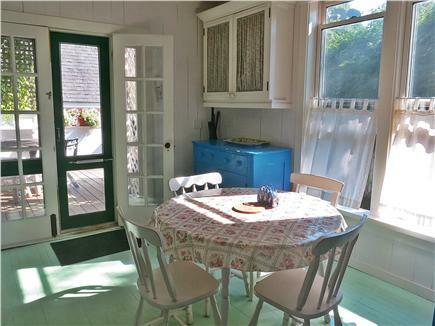 If we do ever go back to MV for a family vacation, we would certainly rent this house again! We've stayed in the BLT house two years in a row and have enjoyed it very much. The house is sparkling clean and well-equipped. Beds and linens are really comfortable. 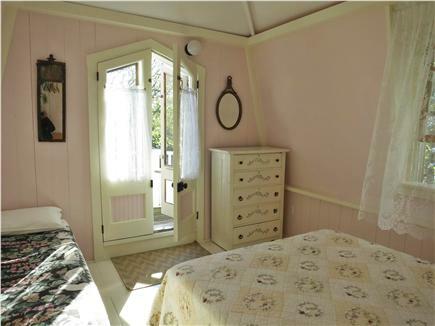 Rare to find such good sleeping/bath quarters in Victorian house. Landlords very helpful. Highly recommended. We loved the BLT house. 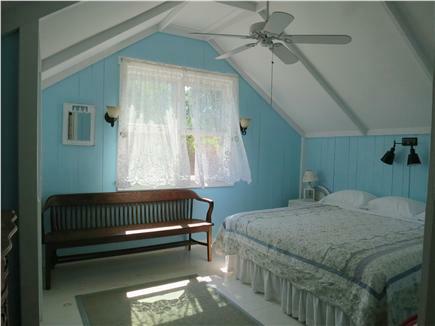 We have rented at various places in Oak Bluffs for 4 years and the BLT house is the cleanest, most beautiful and has the best location. We would highly recommend it to anyone. We will be renting it next year. The owners are very friendly and great hosts.